Every week the four AAC microsite writers (only three for this edition) will come together in an effort to make sense of and answering questions about what happened in the AAC over the course of the previous week. The biggest AAC game of last weekend was Cincinnati’s loss to New Mexico. Did the Bearcats’ performance alter your perception of the team going forward? Mike – Saturday’s showdown with the Lobos was the public’s first chance to get a good read on Cincinnati and the result basically reinforced what we thought of the Bearcats at the start of the season. They still play good defense, Sean Kilpatrick is the still the first, second, and third option on offense, and they are going to be undersized and undermanned against teams with good bigs (like New Mexico, for example). The Pit is a difficult place for anyone to play and the Lobos are quite good this year, so let’s give Cincinnati some time to show us more, but they look like a quintessential bubble team at this point. C.D. – There’s no shame in losing to Lobos in The Pit, and Cincinnati was certainly competitive. Still, I think you have to be concerned that it remains so difficult for the Bearcats to score. Cincinnati ranks in the bottom half of Division I in effective field goal percentage, and while they’re an excellent offensive rebounding team (#4 nationally in offensive rebound percentage), they would be much better off if they could make shots the first time around. If that doesn’t improve, they’re going to struggle to make it to the Dance, much less survive and advance. Ross – The Bearcats’ performance didn’t change my perception of the team because I didn’t expect them to go on the road and beat a good New Mexico team. Cincinnati will have a hard time breaking into the top three of the AAC with Louisville, Memphis and Connecticut, but the Bearcats should be able to fit right in behind those teams and like usual find themselves with a #7 to #11 seed, making it difficult to win more than one NCAA Tournament game, if that. South Florida scored a pair of exciting wins last week over respectable competition and is looking like a dangerous opponent. What is different about this year’s Bulls’ team that has led to the success? Conference and school officials released the terms of Louisville’s early exit from the AAC, which will allow the program to disassociate from the league in July 2014 in exchange for $11 million in total exit fees. The Louisville Courier-Journal’s Jeff Greer describes the negotiation as an amicable and “easily negotiated parting of ways,” noting that the school has already paid $5 million in exit fees and will continue to remit payments of $1.5 million each year until September 2017. In addition, a good faith clause included in the agreement encourages Louisville’s football and men’s and women’s basketball programs to schedule AAC opponents through at least 2017. The total figure could be lowered depending on the outcome of ongoing legal proceedings between Rutgers and conference brass in Providence, and Louisville’s migration to the Atlantic Coast Conference is still contingent upon the resolution of a messy legal battle between the ACC and Maryland. After a 2-0 start to USF’s season, Collin Sherwin of Voodoo Five writes that point guard Corey Allen Jr. has emerged as a major asset for the Bulls in Anthony Collins’ absence. 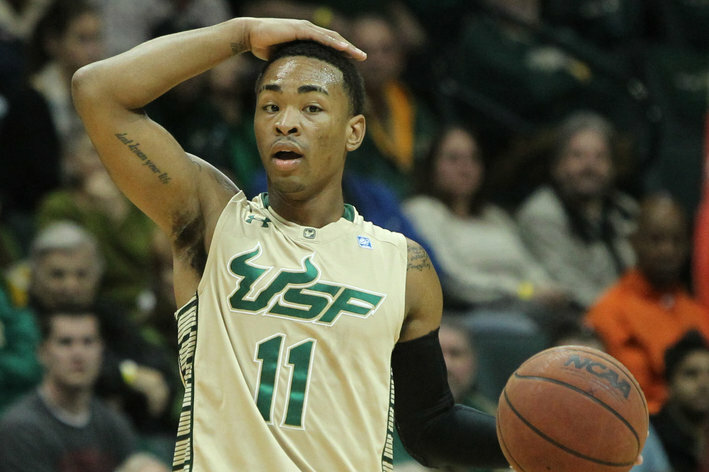 While much of the preseason attention in Tampa was focused on the pair of four-star recruits joining USF’s frontcourt, Allen has been indispensable in his first two performances as a Bull, including a near-triple double stat line of 21 points, nine assists, seven rebounds and three steals posted during a blowout of Bethune-Cookman. Nonetheless, Sherwin expresses concern about how to best utilize Allen once Collins returns from injury. Playing the 6’0” junior college transfer alongside the Bulls’ star point guard potentially keeps their most talented backcourt personnel on the court, but it would also mitigate USF’s notable size advantage and possibly expose them to defensive vulnerabilities against bigger shooting guards. Rutgers head coach Eddie Jordan is looking for the right defensive adjustments after shaky results in a 1-1 start. The Scarlet Knights yielded 84 points to a Florida A&M team that finished 2012-13 ranked among the nation’s 20 most inefficient offenses, then watched as UAB scored 48 second-half points on 50 percent shooting to overcome a six-point halftime deficit. While offensive production has been more than adequate, Jordan acknowledged his concerns about balance after practice yesterday, and junior guard Myles Mack admitted, “Our defensive side is trying to catch up a little bit to our offensive side. Our offense, I think we execute well. But I think the defense has to get better.” The Knights will strive to hold an opponent below 75 points for the first time this season when they host Yale tonight. Shaky ball handling doomed UCF in their first challenge of the season last night, as they committed 20 turnovers in a loss to Florida State. Despite the emphasis Donnie Jones had placed on beating the Seminoles’ imposing press during his team’s preparation, the kind of pressure his guards encountered last night probably bore little resemblance to what their teammates were able to simulate in practice. Freshman Daiquan Walker coughed it up four times in 10 minutes, while star seniors Isaiah Sykes and Calvin Newell didn’t fare much better as they combined for nine turnovers. The result was easy transition opportunities for FSU, which finished shooting 50 percent from the field despite hitting only 3-of-11 attempts from beyond the arc. The loss exposed a liability that could jeopardize the Knights’ hopes of gaining traction in the AAC this year, given the pressing ability of teams like Louisville and Cincinnati, among others. Just as his team has flown under the radar on their way to a 2-0 start, so too has star shooting guard Sean Kilpatrick quietly continued etching his legacy in Cincinnati program history. After scoring 21 points against NC State and 43 points through two games, Kilpatrick has moved from 16th to 14th on Cincinnati’s career scoring list, passing Yancy Gates’ 1,485 points in the process. It will be interesting to see where he ends up by the end of the season, as he seems poised to exploit his role as the clear centerpiece of the Bearcats’ offense. Strengths: Length. This season’s roster features 10 players listed at 6’5” or taller, and seven of them are likely to either start or play major minutes. 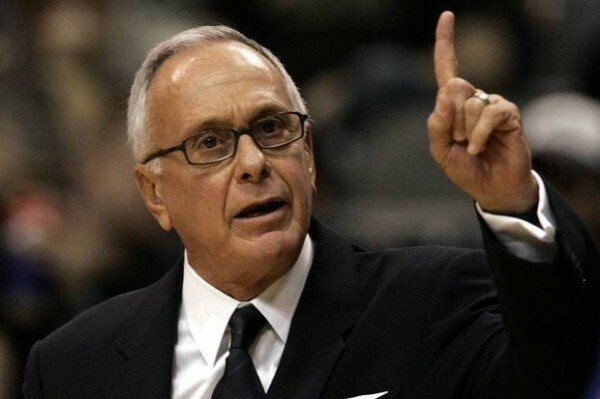 While height alone won’t win this team any games, its improved length and athleticism are exactly the properties necessary to successfully run the stingy, opportunistic style of basketball Stan Heath teaches. Those upgrades are most apparent among Heath’s younger players. Scoring 10 or more points five times in league play, 6’7” rising sophomore Zach LeDay showed considerable promise in the latter portion of his freshman campaign, culminating in a 13-point, 15-rebound, five-block performance in his first and only Big East Tournament game. Classmate Javontae Hawkins (6’5”, 202 pounds) is a talented scorer who is likely to move into a starting role in the Bulls’ backcourt, provided he can beat out former JuCo transfer Musa Abdul-Aleem (6’5”, 221), a deep threat whom CBS Sports recently dubbed one of the country’s “under the radar” breakout players. Complementing those talented sophomore and productive veterans Victor Rudd and Anthony Collins, USF adds the most promising recruiting class in the program’s history. 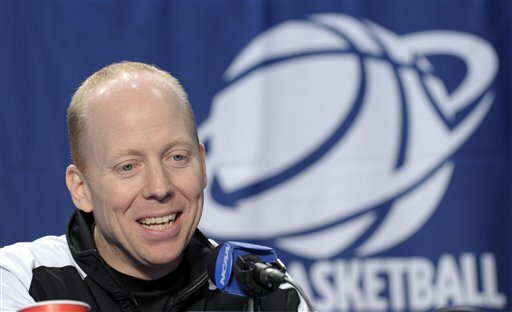 In particular, Stan Heath will benefit from the addition of four-star post players John Egbunu and Chris Perry. Egbunu should start from day one, while Perry could quickly earn a significant role based on his rebounding prowess alone. Heath also went out and solved his problems with point guard depth by adding junior college guard Corey Allen Jr., who looks every bit the serviceable floor general the Bulls lacked last year any time Collins stepped off the court.